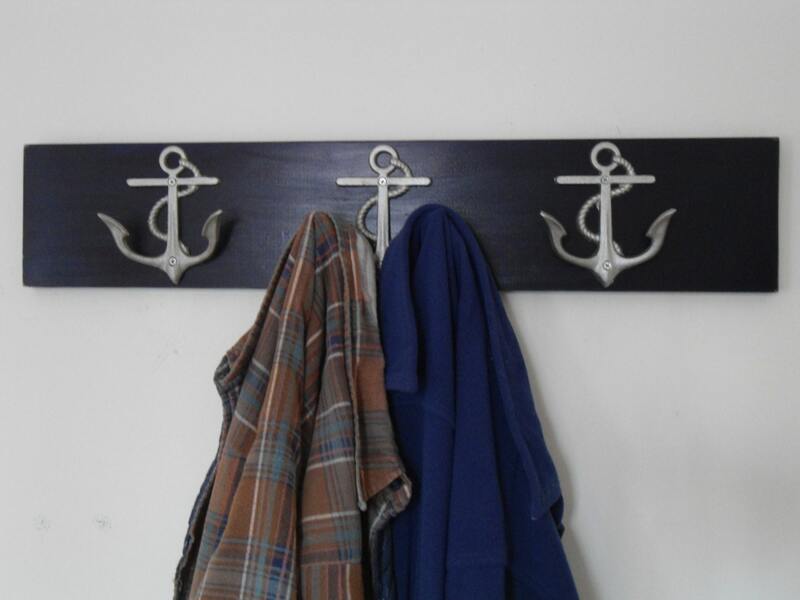 Your 3 anchor hook board is 23"- for the 3 anchor hook board-IF you want a longer board (longer than 23") then your board will be more-do not purchase this listing. 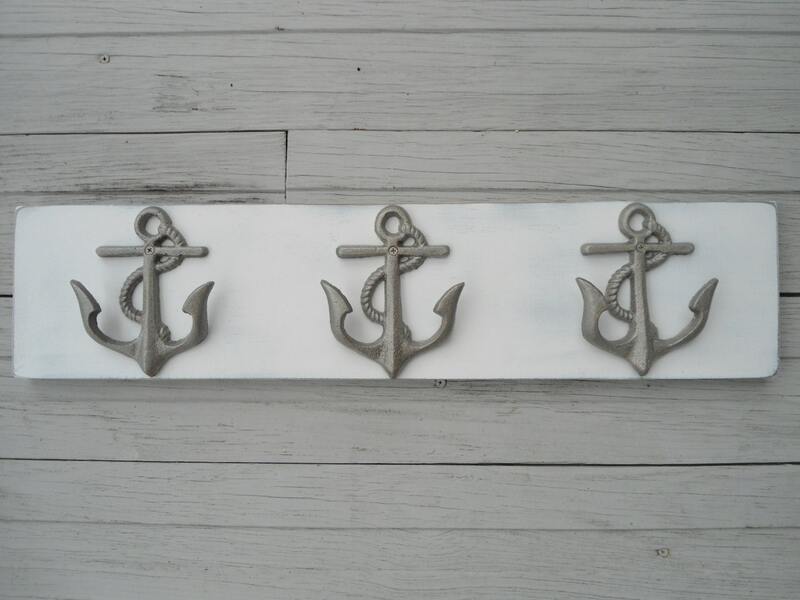 This is the perfect decor for your bathroom, boat, beach house, lake house, nautical themed nursery or family room, son's bedroom, mancave or even the nursery... very crisp and sailor looking! 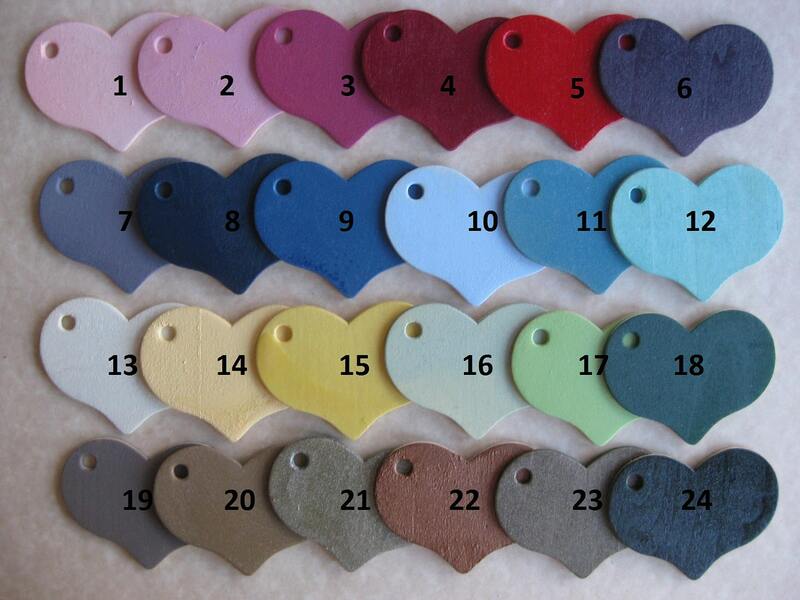 This is one of our best selling items year round, now available in a 26 colors (see photo 5 for our color palette). 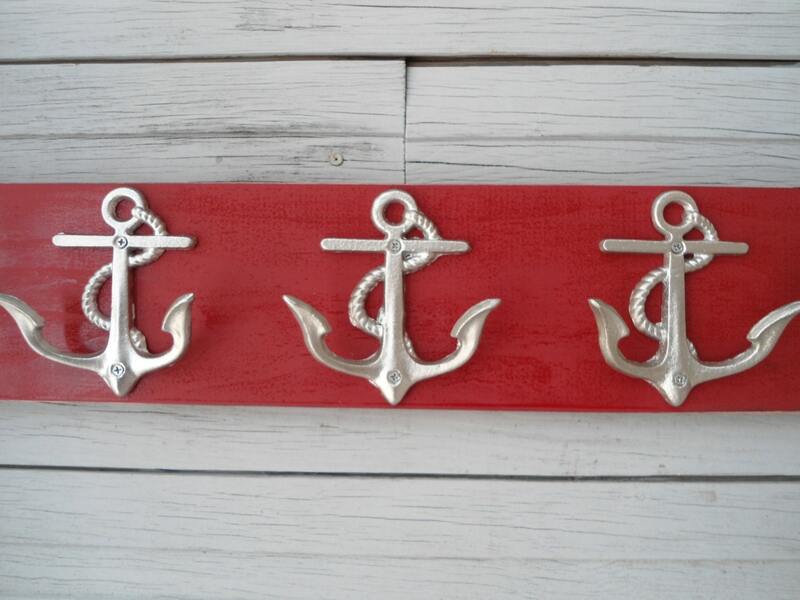 This handmade, high quality, lovely gift, with popular colors,works with any decor, and will bring that nautical feel to your home every day. Perfect hostess gift/thank you for someone who let you stay in their house/cottage/condo; we can send this, if you're looking for a housewarming gift, directly to recipient. This listing is for your own custom piece like the one shown, made from premium lumber that has been cut by Tommy, painted and then painted with a couple coats and sanded some more by me (Rita) with hints of a darker base coat showing thru the top coat around the edges. Then we attach these lovely anchor hangers; they're cast iron, and we've given them a couple coats of paint, before we mounted them. This board comes with 2 d ring type hangers already attached, on the back for easy hanging too; We recommend that these boards be hung from the studs in your walls. Or you can use anchor toggle bolts designed for use in drywall. Anchor/toggle bolts can be found at your local hardware store. We will position the center of the ring type hangers approximately one inch from each end of your board. If preferred, we can ship your ring type hangers unattached and you can attach them yourself. Please designate in the message to seller section if you want us to send you 2 ring type hangers UNattached. 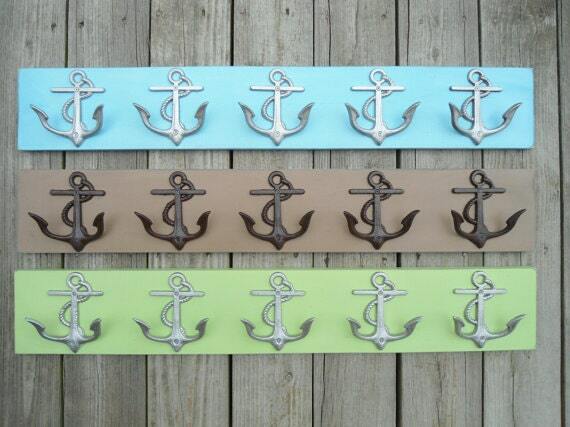 Don't forget to include your color choices for the 3 anchors, the board, and also let us know if you want your hooks distressed or not-none of the anchors shown are distressed. CUSTOM ORDERING FIR SIZE ALLOWED ME TO USE SPACE WHICH WOULD HAVE OTHERWISE BEEN WASTED. GREAT QUALITY AND REASONABLY PRICED! Great item. Looks great in our bathroom. This towel rack is beautiful. Very well crafted! I have yet to hang it, but it looks very sturdy. The hooks are bigger than I imagined, which is actually a good thing! Shipped exactly within the timeframe stated. Perfect transaction! Even nicer than I expected...very hardy! Looks great!